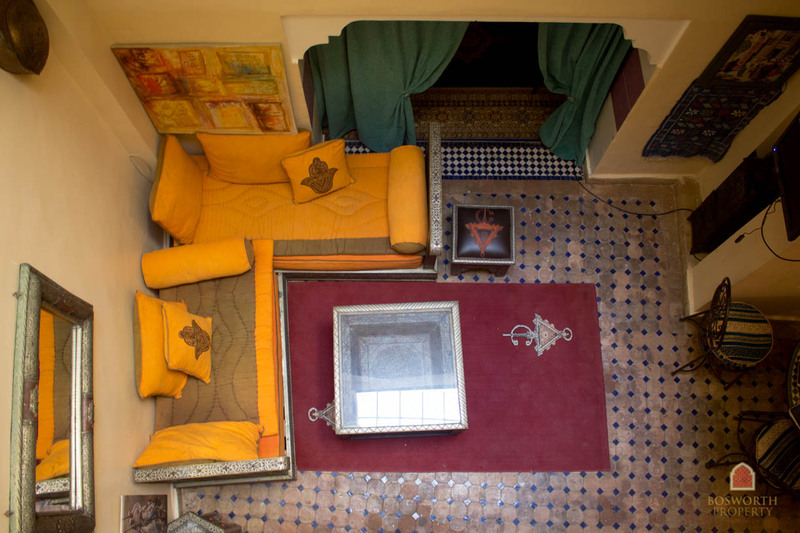 Rare Historic Riad For Sale Marrakech. 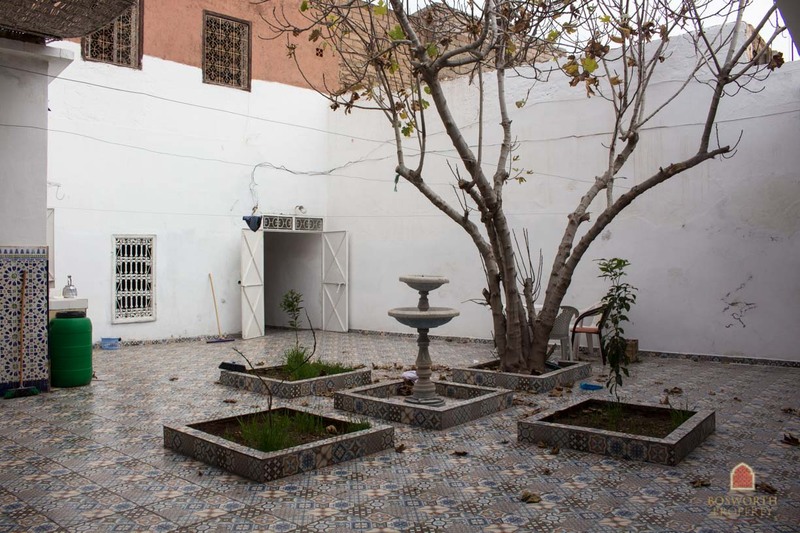 With a generous 150m2 footprint and easy access in a good neighbourhood, this Riad is a beauty. Lovingly restored by it’s owner. As such, it needs bathrooms adding before it could really be used as a home or a guesthouse. 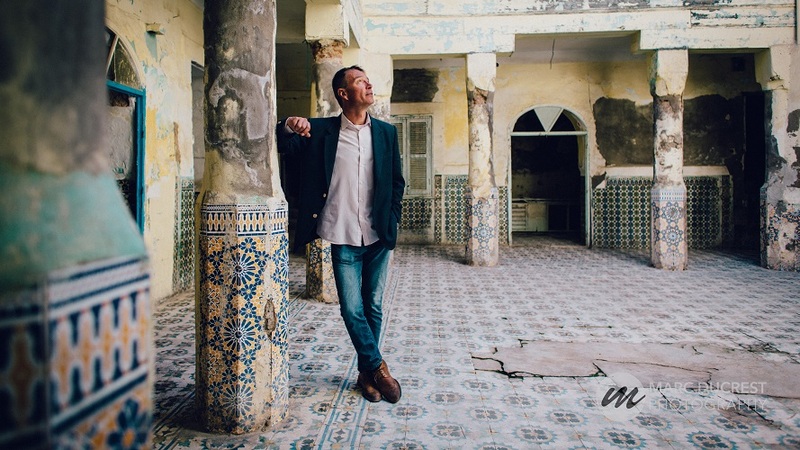 Yet the Riad has everything to make it worth your investment. A beautiful patio courtyard. Fantastic terraces with 360 degree views. Amazing historical features, including hand painted ceilings and intricate hand carved plaster work. 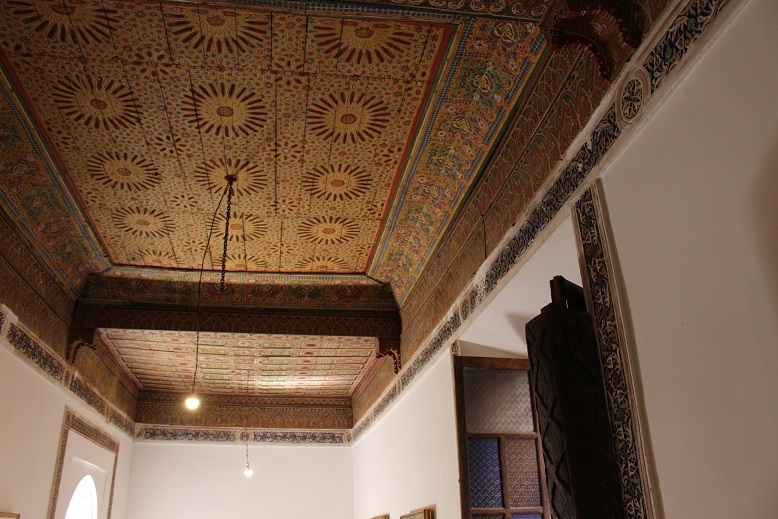 This Rare Historic Riad For Sale Marrakech could be yours for just 310’000 Euros (£276K US$361K). Call me on +212658025028 or mail [email protected] to arrange a viewing. For the full listing click here. The current owner is asking for discretion during the sales process, and so I can’t show you some of the defining features of this beautiful and well known property. Yet look at the details in these photos – absolutely wonderful quality throughout. 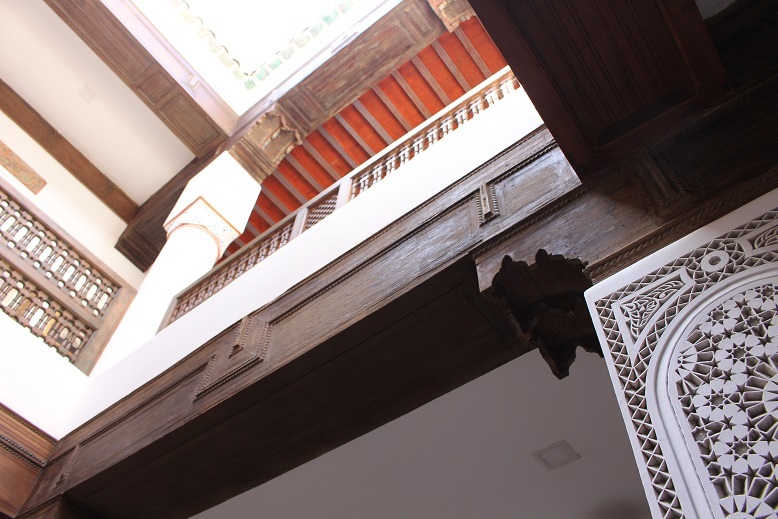 Located in an easily accessible street in the Ben Youssef district, near the Marrakech Museum and the Photography Museum, this lovely Riad could be easily transformed into a luxury private residence or a Guesthouse. It is currently a successful commercial property. There are two front doors. The main entrance takes you through reception and a chicane and into the main patio courtyard with it’s central fountain. Set off the courtyard are three good rooms. On the first floor are a further three rooms set back from the generous and bright coursives. One of the rooms is truly astonishing, with it’s gorgeous ceilings and intricate plaster work. 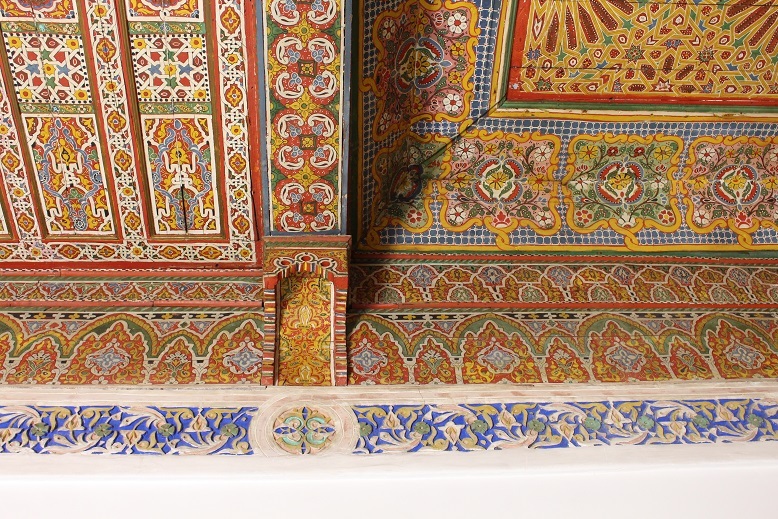 The plaster here is not painted – it has had powdered pigment blown into it through straws. A laborious and artistic finish. The terraces are wide and sunny. There is a big summer kitchen on the first terrace, as well as visitors loos. 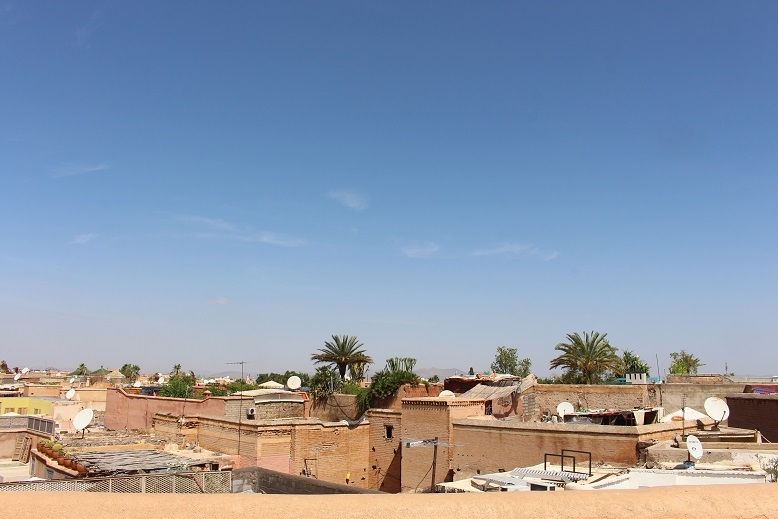 The high panoramic terrace is one of the best viewing platforms in all the Medina. Spectacular views all over the old town and to the snowy High Atlas Mountains beyond. Just breath-taking. 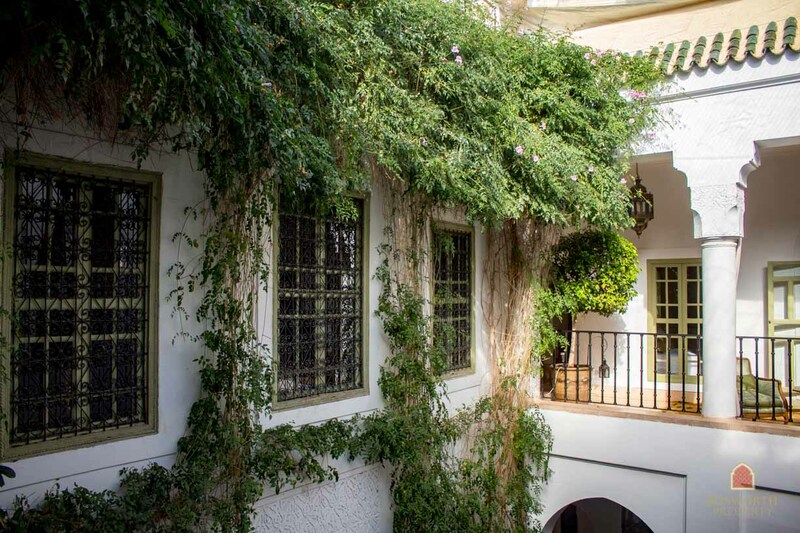 This Rare Historical Riad For Sale Marrakech is new on the market. 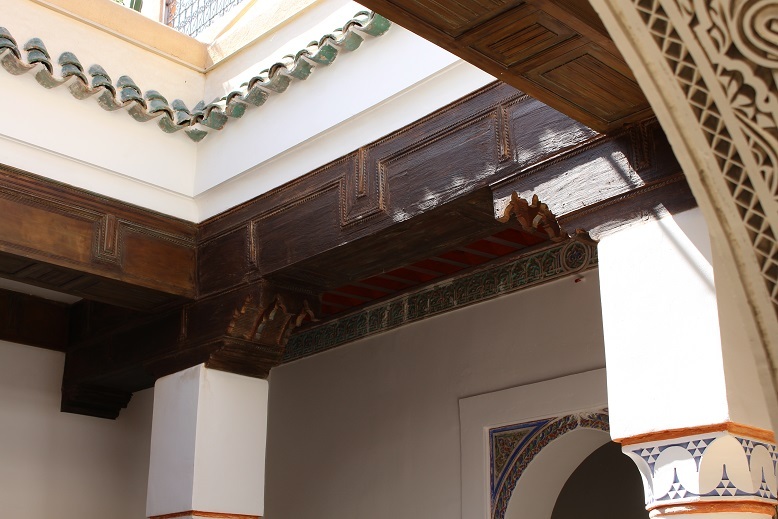 It will be sold discreetly to a lover of Marrakchi architecture and history. Please feel free to call me on +212658025028 or to mail me [email protected] to arrange a viewing. I look forward to hearing from you!